Dr Georges Feghali Dr. Georges Feghali is a proven Physician Executive, US board certified internist, Consultant Internal Medicine. He brings with him wealth of experience of almost 2 decades in senior leadership positions within the healthcare system handling holistic areas in the realm of Total Quality Management, Lean principles, Change Leadership, Physician Compensation Models, and Medical Management. Dr Georges has spent 30 years with Tri Health, Cincinnati based health system, which included four hospitals, before taking on the role of Chief Medical Officer at Al Noor Hospitals in Abu Dhabi, a role he held for the past two years. 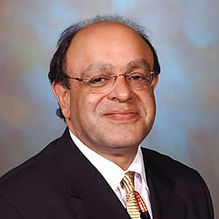 In his previous role with Al Noor Hospitals Group as a Chief Medical Officer, Dr. Feghali has been instrumental aligning physicians’ incentives and compensation with the organization’s goals of higher quality, improved patient satisfaction and restructuring of the physician compensation model. Dr. Feghali has a keen understanding of the application of high clinical quality principles and simultaneous reduction in cost to patients, the system, and the community. In his current role as Chief Operating Officer- Medical Segment, Dr. Georges Feghali will be focussing on overall operations of the Medical Segment.